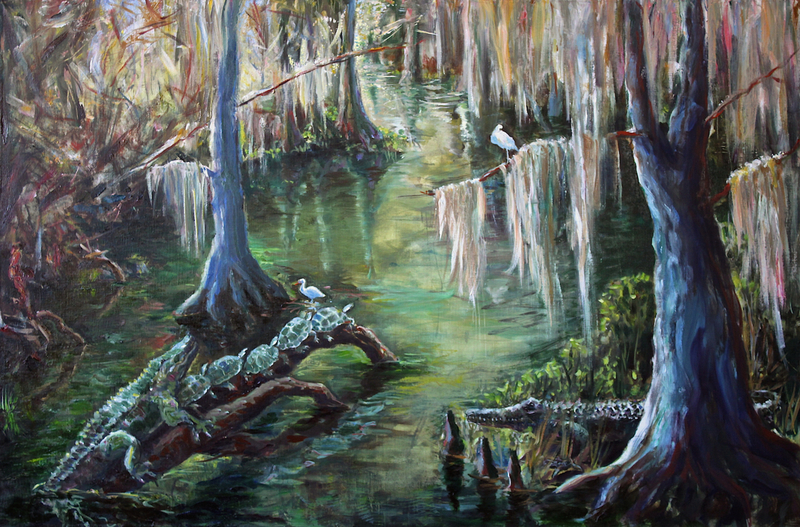 Southern Swamp Landscape with alligators and turtles. Oil on Canvas. 24" X 36"